Technology has been a boon to people with disabilities, especially children. Mobile devices like iPhones and Android phones enable children with developmental delays and other special needs to acquire life skills, engage in self-directed play, and perhaps most importantly facilitate communication with their caregivers. The app that we will be talking about today aims to help children of all types to have easier time learning, by letting parents and caregivers reward them. 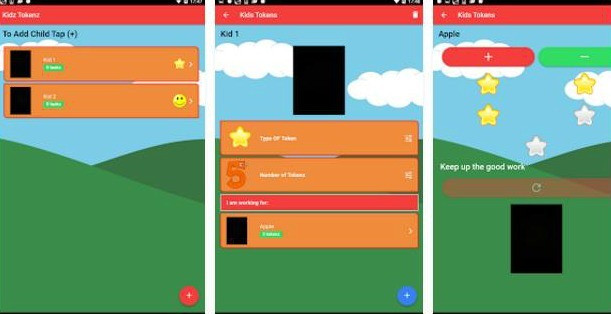 The app’s name is Kidz Tokenz – Reward Kids. It’s a new app available for both iPhone and Android phone users. With Kidz Tokenz, parents can reward their children in a much more direct and fun way. Parents can type in the kid’s name, select token rewards and start rewarding their child. It is an app with a system that excels at aiding children through tough decisions. There is even an option to add a photo and associate a task with it, so that children can try to figure out what their task is through the help of pictured visual aid. We highly recommend trying the app out. It can serve as an added layer when trying to figure out the best way of interacting with your children, especially those that require special attention. If you are interested, you can find the app on the App Store and Google Play.